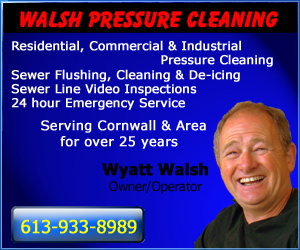 Cornwall Ontario – Spring is normally a time that has a good real estate professional chomping at the bit. Likewise professionals that earn their dosh from servicing the sales and renovations of property as well. This Spring things are dead in Cornwall and we examine some of the major factors. The word is out and has been for awhile. While property prices have been struggling, those that do their research know that they cost of taxation in Cornwall outstrips the bit saved on entry. A vintage story from 2014 shared how a man sold his house in Milton for $240K, was excited to buy a brand new home in Cornwall for $220K only to see his tax bill nearly double! Hydro isn’t cheaper here either really thanks to some really dumb councilors following some really corrupt machinations that just might have ended up getting Ed Lumley a really nice bonus cheque. While Cornwall Electric, which is owned by Fortis doesn’t stick us with delivery and other fees, residents in Cornwall pay about three times as much for the exact same Hydro Quebec power that people in nearby Valleyfield do. That’s a lot of profit and cash, but then again, when the City sold Cornwall Electric it was flipped to Fortis within 5 years for a hefty profit that has cost residents of this community ever since. Dial 855 444 1133 to find out about our amazing Real Estate Marketing opps – yes, yes even you …..
Several weeks ago I asked to see a property. The agent dillied and then complained that it was hard to show because there’s a tenant there. The law is pretty clear. You give fair notice and show the property. Another property I wanted to see last year was even worse. The realtor actually said she was going to give up the listing because she couldn’t show it. Poor communication, poor execution and lack of customer care. Too many agents simply trying to hustle property for themselves and not enough locally taking care of the customer who writes the cheques. Limp tiny print ads. A lack of direct communications. A weak and behind the times embrace of the digital revolution. An example being that we don’t have a regular real estate agent listing in this newspaper in spite of having better values than US social media companies and more regional and local eyeballs than any other source. High school attitudes by some agents. “Well what other agents are advertising with you? ” as though they were on the playground. The few times we had agents we delivered success, but the agents knew little about marketing which made it harder to deliver the results. Today’s buyers are online. They want video; good photography. They google and search and are more educated than yesterday’s buyers. Most of the houses being built just don’t cut it in today’s marketplace. They seem to be built for single working mommies and seem to cut a lot of corners while being sold at comparable prices to other communities. The inventory of older homes is shrinking especially lower end homes for first time buyers. The abusively high rates of hydro from Fortis frighten some away too. For awhile many were buying in neighboring counties, but high hydro rates there too as well as abusive local governments make purchasing less desirable. Look at South Glengarry for instance where developers seem to be in revolt of the Township officers. It’s tough to rent in a market when the economic level is shrinking. People with good jobs are a dying breed it seems unless they are connected to the public sector and many of those are retiring leaving lesser paid workers with smaller families. There’s also a shortage of apartments being built rather than condos. Some apartments that have been built clearly are marked to turn condo and were simply hustles to get around bylaws. Poor property management options also scare off investors who are plunking their investment cash in other communities. Letting the local Art Gallery close which was one of the only attractions in the area. Poor customer experience shopping to the point where many in Cornwall go outside of town for important events, meals, and to just go have fun. Lack of things for people to do unless you’re into bad cover bands or karaoke clubs that are an excuse for married folk to get their freak on in the dark. Even worse, a true lack of good quality activities for kids. While the community is trying to embrace seniors it really offers very little for them to do. Cornwall’s best quality it seems is that it’s close to places that do offer all those things with Montreal, Ottawa, Brockville, Kingston all a few hours away and while Via rail still stops, the option of zipping down to Toronto in comfort and style. Solutions? It won’t be easy. We’re seeing some local contractors freaking out about development charges, but the issue is far greater. Better people elected to council who will make sure that the community is much more friendly for business, especially business that actually develops the community whether it be waterfront development, entertainment and culture options, which will attract younger families and people. As the community grows it will attract better people that will essentially make obsolete some of the neanderthals that seem to think they’re hot stuff, and better than everyone else when they clearly are not. The status quo is failing with the tax Levy in this last term up nearly a WHOPPING 20%. And that was with most of council signing the Community Action Group pledge to fight taxation.